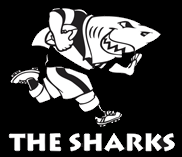 The Sharks are a South African rugby union team competing in the SupeRugby competition (Super 10 from 1993 to 1995 and Super 12 from 1996 to 2005). They are based in Durban and centerd around the Natal Sharks union, also based in Durban and drawing players from all of KwaZulu-Natal Province. In 1993-1995 South Africa was represented in the Super 10 by their three top unions (top three teams from the previous years Currie Cup). Natal (as they were called then) qualified in 1993 and 1994. Natal were runners-up in 1994 after having lost to Queensland 21-10 in the final. In 1996 and 1997 South Africa was represented in the Super 12 by their four top unions rather than franchises, and Natal qualified and competed both years. They have never won the Super 12 competition, but have reached the final three times, as Natal in 1996 and as the Sharks in 2001 and 2007. Through 2005, they drew players from the two unions based in Eastern Cape Province, the Mighty Elephants (Port Elizabeth) and the Bulldogs (East London), but those unions became the core of the new Southern Spears franchise that was formed in 2006 and was originally intended to enter the Super 14 in 2007 but was later denied admission. The current team captain is Stefan Terblanche. The side contains many other Springbok players, including current Boks captain John Smit, Tendai Mtawarira, JP Pietersen, Adrian Jacobs, and the brothers Bismarck and Jannie du Plessis. In 2010, they were slated to feature Argentine star Juan Martín Hernández, but he was ruled out for the season with a back injury. Kings Park Stadium in Durban is the home ground of the Sharks. It is also known for sponsorship reasons as ABSA Stadium, but locally known as "The Shark Tank". It currently has a capacity of 55,000. As well as the Sharks team, it is also used during the Currie Cup for the Natal Sharks, as well as soccer games. The grounds were originally built in 1891, but have been worked on numerous times. A major upgrade occurred for the 1995 Rugby World Cup. The Sharks franchise currently covers the province of KwaZulu-Natal. The two main cities from which most of its players are drawn are Durban and Pietermaritzburg. The two Eastern Cape unions, the Eastern Province Kings and Border Bulldogs were originally part of the franchise. With the formation of the Southern and Eastern Cape franchises, first the Southern Spears and now the Southern Kings, those two unions have now move into the new franchise.